Some areas are better to research in than others. Some counties have no clue as to the value of the history in the older documents, some understand but are unable to get government to allocate the necessary funds to preserve those records, and some understand and have been able to convince their government to preserve the records properly. McLennan County, Texas, is one of those good places to do research. Most genealogists know about the West Waco Library Genealogy Center. 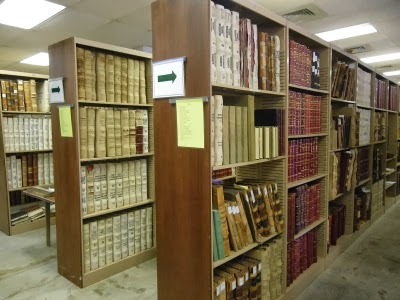 The library has a large collection of books and microfilm for all locations. Extensive holdings cover McLennan County and surrounding counties in Central Texas, microfilm of Waco newspapers dating as early as 1898, about every known city directory published for Waco, abstracts of many church and school records, and much more. The library and the Central Texas Genealogical Society (CTGS) work closely together. CTGS members have abstracted and published many records of interest to researchers in this area. Then there’s the library at Baylor University with several interesting special collections. The Baylor Law Library serves the general public as well as the students, faculty, and attorneys. It is a Federal Depository for Government Documents. And don’t forget the Armstrong Research Center at the Texas Ranger Museum. But one of the jewels every researcher should know of and support is the McLennan County Archives. The Archives is open Monday through Friday from 8:30a.m. to 4:30p.m. You must be buzzed in at the front door and escorted into the archives so it is a good idea to call the phone number on the website and let them know you are coming and what you wish to see. Parking is free and right in front of the entrance. Some research requests can be handled over the phone, but you’ll really want to visit in person if you can. The staff is knowledgeable, friendly, and helpful. photographed by Debbie Parker Wayne on 12 July 2013. 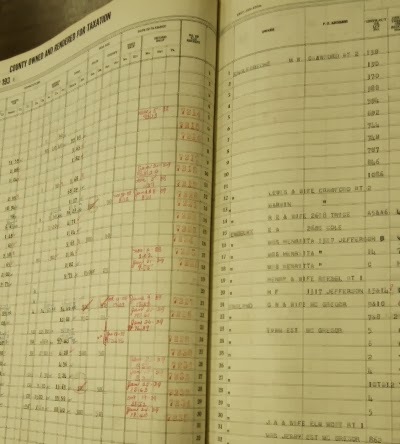 The Archives holds the original records of the County Clerk, District Clerk, Tax Assessor/Collector, Office of Elections, and Justices of the Peace. District Court records must be requested through the office of the clerk and will be viewed at the District Clerk’s office. Other records can be viewed at the Archives. There are also many maps and a large collection of Waco city directories. Most of us have used tax records on microfilm. We usually spend a lot of time scrolling up and down to find an entry of interest. Then we scroll side to side counting the lines to be sure we extract all of a person’s entry from a tax listing that spans two pages. Here you can view the original tax records and see both pages at the same time in a bound book. After spending so much time with 18th century hand-written records it seems a little strange to see typed tax lists for later years like the 1930s. But the printed records, handwritten or typed, are so much easier to use than microfilm. In addition to the tax listings sorted by the name of the taxpayer, there are books where the data is organized according to the land being taxed, Assessor Abstracts. Instead of searching through decades of deed indexes looking for familiar names you may be able to find when a land owner bought or sold a piece of property using these records. There are so many kinds of records we all need to learn more about to make us better researchers. Seeing the original records instead of microfilmed copies is priceless. I wish every county where I do research had a county archives department. Debbie Parker Wayne, "Lucky Researchers in Texas: McLennan County," Deb's Delvings Blog, posted 26 September 2013 (http://debsdelvings.blogspot.com/ : accessed [date]). I've had several questions asking what may cause one person's autosomal DNA (atDNA) test to match one cousin, but not another who shares the same ancestor. This is a fairly common occurrence and is easily explained. The chart below shows one chromosome segment of three cousins, DD, NN, and MM. The numbers represent the location of SNPs on chromosome 6. DD and NN share two segments on chromosome 6: one segment starts at location 18,364,604 and ends at 32,432,923, there is a break where DD's DNA does not match NN, then a second segment starts at location 32,707,977 and ends at location 36,812, 814. These two segments are 12.84 and 5.85 centimorgans long, respectively, totaling 18.69 centimorgans.2 The 12.84 centimorgan segment exceeds the threshold for minimum segment size for DD and NN to be considered a match. MM shares one segment with NN starting at location 29,684,571 and ending at 37,854,826 totaling 9.13 centimorgans. This MM:NN segment overlaps the end of the 12.84 centimorgan segment shared between DD and NN, includes the segment where DD and NN do not match between the two matching segments, the 5.85 centimorgan segment shared between DD and NN, and another segment not shared by DD and NN that follows the 5.85 centimorgan shared segment. The 9.13 centimorgan segment exceeds the threshold for minimum segment size for MM and NN to be considered a match. MM and DD only share two segments, each smaller than 6 centimorgans in length. Neither of these segments is long enough to meet the threshold for minimum segment size for DD and MM to be considered a match at the testing company. 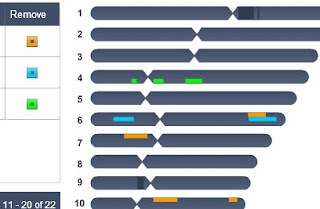 23andMe and Family Tree DNA atDNA tests. Some third-party analysis tools also allow analysis beyond what can be done at a testing company, but we need to be sure we understand the privacy policies in place at the third-party site before we use the tools there. 1. "Family Finder versus Relative Finder," ISOGG Wiki (http://www.isogg.org/wiki/Family_Finder_versus_Relative_Finder#Thresholds_for_relationship_matches : accessed 22 September 2013), see section titled "Thresholds for relationship matches." Debbie Parker Wayne, "atDNA: I Don't Match My Cousin's Cousin," Deb's Delvings Blog, posted 22 September 2013 (http://debsdelvings.blogspot.com/ : accessed [date]). Why So Much Excitement about Ethnicity Predictions? I caution people about putting too much faith in these ethnicity and regional predictions for two reasons that still apply even if new advances in our knowledge have been made recently. 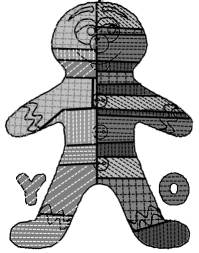 Because of DNA recombination you may not have detectable amounts of DNA representing all of the ethnicities or geographies you see in your full pedigree chart. Blaine Bettinger described this well in a post several years ago titled, "Q&A: Everyone Has Two Family Trees – A Genealogical Tree and a Genetic Tree. "4 While Blaine was answering a question about why a known cousin was not listed on a person's DNA match list, the answer is just as applicable to the question of why a person's predicted ethnicity percentages isn't reflected in the known pedigree of that person. Each of us inherits only one-half of the DNA of each parent. This also means about one-half of each parent's DNA is lost in each generation except where some bits are inherited by one offspring and not others. As we go back more generations we have inherited less DNA from those ancestors. The world population is about seven billion today.5 At most, a few hundred thousand people have taken genealogical DNA tests.6 This means that fewer than one/ten-thousandth of the world has been tested. That is a very small sample size. As more people test we will learn more about accurate interpretation of the DNA data. We are still in the infancy of this new science. I highly encourage researchers to test so we can learn more faster. You will learn some interesting information about your DNA. But I caution against making life-altering decisions based on today's technology and knowledge level, even with the recent updates. Now think about how those changes make it difficult to relate a segment of DNA to a particular country. I have to admit that I was surprised at the constantly changing European landscape even though I have always been interested in and constantly read about history. Anyone who does not understand human migrations, how those migrations don't really coincide with political boundaries, and how our DNA makeup is not a reflection of our entire pedigree due to random recombination, could have a difficult time understanding their ethnicity predictions based on DNA. Dr. Doug McDonald (the developer of one of the early programs for Bio-Geographical Analysis), "Doug McDonald on Biogeograpical Analysis," 9 September 2012 guest post, DNAeXplained – Genetic Genealogy blog of Roberta Estes (http://dna-explained.com/2012/09/09/doug-mcdonald-on-biogeograpical-analysis/). Blaine Bettinger, PhD, JD, "AncestryDNA Launches New Ethnicity Estimate," 12 September 2013, The Genetic Genealogist (http://www.thegeneticgenealogist.com/2013/09/12/ancestrydna-launches-new-ethnicity-estimate/). Debbie Kennett, "My updated ethnicity results from AncestryDNA - a British perspective," 17 September 2013, Cruwys news (http://cruwys.blogspot.com/2013/09/my-updated-ethnicity-results-from.html). Judy G. Russell, JD, CG, "DNA disappointment," 15 September 2013, The Legal Genealogist, (http://www.legalgenealogist.com/blog/2013/09/15/dna-disappointment/). Randy Seaver, "First Look at my AncestryDNA Ethnicity Update - Post 2: More DNA Results," 13 September 2013, Genea-Musings, (http://www.geneamusings.com/2013/09/first-look-at-my-ancestrydna-ethnicity_13.html). All URLs accessed 18 September 2013. 1. "One simple DNA test. A world of discoveries," AncestryDNA (http://ancestrydna.com/). 2. "Family Finder," Family Tree DNA (http://www.familytreedna.com/family-finder-compare.aspx). 3. "Your story begins as far back as you can imagine," Ancestry page, 23andMe (https://www.23andme.com/ancestry/). 4. Blaine Bettinger, PhD, JD, "Q&A: Everyone Has Two Family Trees – A Genealogical Tree and a Genetic Tree," 10 October 2009, The Genetic Genealogist (http://www.thegeneticgenealogist.com/2009/11/10/qa-everyone-has-two-family-trees-a-genealogical-tree-and-a-genetic-tree/). 5. Haya El Nasser, "World population hits 7 billion," 31 October 2011, USA TODAY (http://usatoday30.usatoday.com/news/world/story/2011-10-30/world-population-hits-seven-billion/51007670/1). 6. "Autosomal DNA testing comparison chart," ISOGG Wiki, International Society of Genetic Genealogists (http://www.isogg.org/wiki/Autosomal_DNA_testing_comparison_chart); gives an estimate as of August 2013 of 640,000 people in the autosomal databases of 23andMe, Family Tree DNA, AncestryDNA, and National Geographic Genographic Project Geno 2.0. 7. pierre_mesyne, "abkebab's Map of Europe 1000 AD to present with timeline," LiveLeak (http://www.liveleak.com/view?i=14d_1348362692). Debbie Parker Wayne, "Why So Much Excitement about Ethnicity Predictions?," Deb's Delvings Blog, posted 18 September 2013 (http://debsdelvings.blogspot.com/ : accessed [date]). Disappointed in DNA test results? Recently several friends have indicated how disappointed they are with their DNA test results. Most are referring to autosomal DNA tests, but some who get Y-DNA and mitochondrial DNA tests feel the same way. I’m not sure why these researchers are disappointed; none have provided specific complaints. Maybe, after watching CSI television shows, we have an unrealistic expectation for what a DNA test can do. It is probably also a result of the DNA testing companies not setting realistic expectations for their customers. Some of the phrases used in marketing any product can lead to expectations of more than can be delivered. I suspect one of the biggest reasons for disappointment is that there was no specific research question to be addressed by the DNA findings. Taking a DNA test just because it is the hottest new thing in genealogy is a great way to contribute to the science, but can you really be disappointed in the findings if there was no question to be answered? DNA tests can provide very specific answers to some questions, clues to the answer to some questions, and can’t help with other questions at all. What is the focused research question? Which DNA test can provide evidence to answer this question? Who is alive in the right ancestral line and is willing to provide a DNA sample? We can learn so much from most DNA tests, but it takes a lot of work to thoroughly analyze and understand the results. The results must be analyzed in the context of what we know from traditional research. The results must be analyzed in the context of what we learn about those with matching DNA and the probabilities for a relationship. And the results must be analyzed in the context of a specific research question to be answered. Using DNA tests for genealogy is a matching game. Just seeing our DNA results alone tells very little about our family history. When we compare our family tree to the tree of those who have closely matching DNA we can find common ancestors. The ancestors won’t jump off the page at you and no technician will come running in with a piece of paper identifying the guilty person. The tech won't say, “this person is related through your second-great-grandfather on your father’s father’s line.” With many hours of work we may figure that out, but it won’t be immediately obvious. If you don’t get many or any matches you may feel let down, but a DNA test is one of those things that "keeps on giving." You may have no close DNA matches at the time you test, but the testing company will usually compare you to everyone who tests in the future, too. Maybe the cousin that will break down your brick wall will test next week, next month, or next year. If you don’t test you will never know if that cousin has already tested and the answer you need is just waiting for you in the DNA database. Taking the test and getting results back from a company is not the end of your genetic genealogy quest. It is the beginning. Be sure to rest while you wait for the test results to come back. You’ll be very busy analyzing the results if you want to learn useful information from those results. Maybe genealogical researchers can better appreciate the process to make use of DNA test results in comparison to other kinds of research we do to determine who our ancestors are. This list shows some similarities between research using documentary evidence and DNA evidence. What does the researcher provide to a record repository or a DNA testing company? What does the clerk / DNA company do to “locate” your record? What does the clerk / DNA company do to report findings? What does the clerk / DNA company do to process findings? What do YOU have to learn before you can make use of the reported findings? What do YOU do after you understand the background and have the record / data? Just like any other evidence you use to help answer a genealogical question, using DNA evidence requires work on your part. Or you can use a consultant to do the work for you: a relative or project administrator who is interested and has the time, or a consultant or researcher you hire to do the work for you. The same way you would hire a researcher to obtain and analyze record copies when you can't do it yourself. You had to learn how to use the information found in deeds, census records, probate files, and all of the other records genealogists use every day. You will have to learn how to use DNA test results unless you plan to hire someone to do it for you. None of us are born knowing how to do this kind of analysis. We have to learn, or we have to find someone else to do the analysis for us, or we are wasting our efforts. Genetic genealogy has the potential to solve many of our genealogical brick walls if it is used effectively. However, it is not a magic bullet to answer all your questions with little or no work on your part. Many of us find it fun and interesting to learn how to use DNA test results. Give it a try. Maybe you'll like it, too. Check here for links to educational materials to learn how to use DNA for genealogical research. Or join us next year at The Genealogical Research Institute of Pittsburgh where Your Genetic Genealogist CeCe Moore, The Genetic Genealogist Blaine Bettinger, and I will be teaching Practical Genetic Genealogy. Debbie Parker Wayne, "Disappointed in DNA test results?," Deb's Delvings Blog, posted 16 September 2013 (http://debsdelvings.blogspot.com/ : accessed [date]). I had a wonderful time presenting at the East Texas Genealogical Society (ETGS) Beginner's Workshop on Saturday. The group was interested and shared some good stories. We had attendees all the way from Irving (about 110 miles) and from several counties surrounding Smith County. Some were brand new to genealogical research and some experienced researchers came to learn new tips. And the ETGS group always has tempting snacks so no one went hungry. An Internet search for "census extraction forms" will result in many more links if one of the above links don't provide the desired results. Don't forget that anyone can create their own form using a word processor or a spreadsheet. Even a plain text file can be used and a constant width font will allow columns to be lined up using tabs. “Census of Population and Housing.” U.S. Census Bureau. http://www.census.gov/prod/www/decennial.html : 2013. 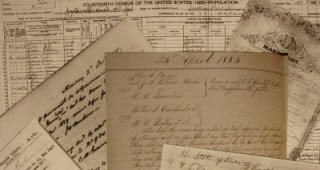 Freely downloadable PDFs of the statistical compendiums for each census since 1790, special collections and reports, and Measuring America: The Decennial Censuses from 1790 to 2000 (publ. 2012). Debbie Parker Wayne, "Census Forms and Thanks to ETGS Seminar Attendees," Deb's Delvings Blog, posted 16 September 2013 (http://debsdelvings.blogspot.com/ : accessed [date]). The Texas State Library continues its Genealogy After Dark program on 18 October 2013 from 6p.m. to midnight. Registration is limited to 30 participants. Contact the library if you have not received a registration form in your e-mail inbox. Registration ends on 11 October (one week before the event). Parking is available in the Capitol Visitors Parking Garage at 1201 San Jacinto. There is no charge for visitors who arrive after 5:00 p.m. If you have questions or wish to register, contact the library at geninfo@tsl.state.tx.us or 512-463-5455. Debbie Parker Wayne, "Texas State Library, Genealogy After Dark, 18 October 2013," Deb's Delvings Blog, posted 12 September 2013 (http://debsdelvings.blogspot.com/ : accessed [date]). Many things have happened on this day in history, many that are not immediately brought to mind by the phrase "Nine Eleven." This year I choose to remember these good things and interesting historical facts. I will not watch reruns of the television coverage from twelve years ago, over and over and over. 1609 - Explorer Henry Hudson sailed into New York harbor and discovered Manhattan Island and the Hudson River. 1897 - A ten-week strike of coal workers in Pennsylvania, WV, and Ohio came to an end. The workers won and [sic] eight-hour workday, semi-monthly pay, and company stores were abolished. 1936 - Boulder Dam in Nevada was dedicated by U.S. President Franklin D. Roosevelt by turning on the dam's first hydroelectric generator. The dam is now called Hoover Dam. 1962 - George Martin had the Beatles return to EMI's Abbey Road to re-record "Love Me Do." They also recorded "P.S. I Love You" and an early version of "Please Please Me." 1967 - The Carol Burnett Show premiered on CBS. 1974 - The St. Louis Cardinals and the New York Mets set a National League record when they played 25 innings. It was the second longest game in professional baseball history. 1985 - A U.S. satellite passed through the tail of the Giacobini-Zinner comet. It was the first on-the-spot sampling of a comet. 1. History for "September 11," On-This-Day.com (http://www.on-this-day.com/onthisday/thedays/alldays/sep11.htm and http://www.on-this-day.com/onthisday/thedays/birthdays/sep11.htm and http://www.on-this-day.com/onthisday/thedays/music/sep11.htm : accessed 11 September 2013). Debbie Parker Wayne, "Good things that Happened on September 11th," Deb's Delvings Blog, posted 11 Septmber 2013 (http://debsdelvings.blogspot.com/ : accessed [date]). Carey Goldberg recently wrote an article titled "Growing Up Genomic: What Happens When You Know All A Baby’s Genes?" for Boston's NPR Station WBUR's Common Health.1 The article is about an upcoming research project, BabySeq, in which 240 newborns will have their full genome sequenced, 240 newborns will not be sequenced, and the two groups will be followed to learn how this information affects their lives. It is a thought-provoking interview with one of the project directors. The article reminds us of how much we don't know about DNA yet and how much we have to learn about how to ethically handle genetic information in the future. For several years the genetic genealogy community has been having discussions with geneticists who generally work with medical patients about ethics, informed consent, and patient reactions to what they learn from their DNA—medically and genealogically. Some of us are better able to handle unexpected findings than others. Many genetic genealogists freely share DNA information and encourage others to do so. I'm a little more conservative. Because there is so much we don't know yet, I encourage relatives and clients to be more careful about what they share, especially on public sites without strong security and privacy policies. As far as we know today, there is little medically-significant information in the DNA we are using for genealogical research unless you test with a company that includes medically significant information in your raw data file or in your DNA analysis. Some people have difficulty accepting the genealogical information revealed in DNA. I'm more interested in knowing the truth, but I can understand how someone who has a long-held belief that they are descended from a particular person might be upset to learn that isn't true. I don't think that should stop us from using genetics to further genealogical research. I think it should make us more sensitive to how we handle information that someone else might find disconcerting or hurtful. I'm glad to see someone is actually doing a study on how genetic knowledge might affect people. In the future we can make decisions based on a real understanding of how people react instead of using anecdotal information on how a few people have reacted. 1. Carey Goldberg, “Growing Up Genomic: What Happens When You Know All A Baby’s Genes?,” wbur’s Common Health, posted 4 September 2013 (http://commonhealth.wbur.org/2013/09/genome-babies-research?utm_source=cc&utm_medium=email&utm_campaign=nwsltr-13-09-07 : accessed 11 September 2013). Debbie Parker Wayne, 'Entering the "Growing Up Genomic" World,' Deb's Delvings Blog, posted 11 September 2013 (http://debsdelvings.blogspot.com/ : accessed [date]). I always feel I have to leave out too much information when I speak only for an hour or so on genetic genealogy and DNA. An all-day workshop allows so much more to be covered—enough to intrigue those new to DNA testing for genealogy and add some more advanced bits to help those already somewhat familiar with DNA testing to learn more. There is even enough time to include some real examples on how to begin analyzing your DNA data yourself so it contributes to your genealogical research goals and doesn't just gather dust in a file cabinet. The Hot Springs Village Genealogical Society and Akansa Chapter NSDAR have invited me back this year to present an all-day DNA workshop for genealogists. See their flyer for registration information or contact Jeanette Frahm at 501.922.9220 (Nette4465@gmail.com). I taught traditional research topics at Hot Springs Village last year. It is a beautiful area of Arkansas with lots of trees and hills. It is a wonderful, friendly group of dedicated genealogists. Last year we had attendees from as far away as Little Rock. Hot Springs Village has a great conference center well-designed for presentations. Driving instructions can be found here and there are photos from prior workshops. This lecture covers where we are today using DNA for genealogy, maximizing Y-DNA, mitochondrial DNA, and autosomal DNA test results to contribute to genealogical research goals. This lecture covers the advances made in DNA testing for genealogical research and shows how to use these new test results to advance your personal research. Learn to link families using autosomal DNA test results from any testing company. Includes how to use test results such as those from 23andMe, AncestryDNA, and Family Tree DNA Family Finder tests. This lecture covers the basics of Y-DNA testing for males, and how to find DNA projects and testing companies. Learn details of Y-DNA testing including how to analyze test results. Findings can corroborate your paper trail or place you on the right research path. This lecture covers the basics of mitochondrial DNA testing. Understand mitochondrial DNA testing with an introduction to analysis of test results. 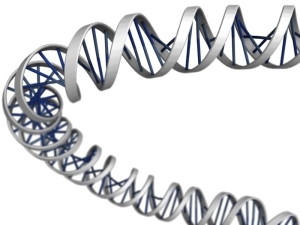 Sample research problems demonstrate how mtDNA can be used by genealogists. Be sure to order the box lunch or bring your own lunch. The conference center doesn't have any restaurants nearby. You should register by 15 September to ensure lunch availability. I haven't yet caught up enough to write about the wonderful time I had in Fort Wayne, Indiana, at the FGS 2013 conference. I hope to get to that soon. This year was my first year to speak at both national genealogical conferences—NGS and FGS—and it was very exciting for me. This Saturday I will be working with Scott Fitzgerald, June Everheart, Sam and Sherry Kidd, and other members of the East Texas Genealogical Society (ETGS) to present a "Beginner's Genealogy Workshop." ETGS has presented this workshop several times in the past and this is the first time I will be helping with the workshop. For more information on the workshop and registration information see ETGS Society Seminar and Workshop and the notice on the Texas State Genealogical Society blog. There may be time for questions at the workshop’s conclusion. Please write down your questions ahead of time to help with getting answers. The fee is $5.00 to cover the cost of handouts. Advance payment is requested to make sure you receive the handout material. Email Scott Fitzgerald (scottfitzgerald AT tyler.net) or call 903.539.5572 with any questions. I've always felt there is something inherently wrong with a company being able to patent genes. No company "invented" a gene even if they isolated the gene in a lab, discovered the purpose of the gene or the piece of DNA that may switch that gene on or off, or found environmental factors that may affect the expression of that gene. Patenting a gene seems like the same thing as patenting a tree or a flower that grows naturally from the ground with no human intervention whatsoever. Even a unique genetic discovery made by a company isn't done in isolation. It is built on the research that has primarily been paid for by our tax dollars. "We the people" are the ones who should own the genetic data because it is a part of our bodies and we paid for the research to learn about those bodies. On the other hand, I understand the need for a company to make a reasonable profit from a product they create that may "read" that gene in a person's DNA sample. If another company can make a similar product there is no reason the two companies should not compete for a share of the marketplace. Many companies sell the same kind of tree sapling and flower seeds or bulbs. Many companies sell the same medicine, like aspirin or ibuprofen. Many companies should be able to sell the same genetic test. I believe naturally occurring elements and common ideas or words should not be eligible for a patent, trademark, or service mark. Because the U.S. Patent Office doesn't seem to have enough employees knowledgeable about cutting-edge science and technologies some really dumb patents have been issued in recent decades, in my opinion. A recent U.S. Supreme Court decision in ASSOCIATION FOR MOLECULAR PATHOLOGY ET AL. v. MYRIAD GENETICS, INC., ET AL held that a "naturally occurring DNA segment is a product of nature and not patent eligible merely because it has been isolated." The scientific community held this ruling to be a victory for women. After the Supreme Court ruling several companies, including the DNATraits division of Gene by Gene, started offering a test for breast cancer genes BRCA1 and BRCA2. Myriad Genetics has sued to prevent these companies from offering tests for these breast cancer genes. It's rare that I send 'blast emails', but if there was ever a time in my life that called for a broad based blast, now is that time. I want to share with you an important campaign www.freemygenes.org that I have started, to raise awareness to an alarming situation. That same day our DNA testing company launched a breast cancer test that was far more affordable than previous offered tests. Our precedent-setting reduction in price meant that millions of Americans who previously could not get the test--because their insurance company wouldn't pay, or because they lacked insurance--now had access to a high quality test for breast cancer risk. Myriad Genetics sued us and others for offering this test and although we are not looking for a fight, we are now forced to defend ourselves and feel morally obligated to bring the world a more affordable test. As a child of the 60s, I can tell you that if there ever was a fight worth fighting, this is it. I urge you to visit our site: www.freemygenes.org and familiarize yourself with the situation as it has unfolded and I urge you to share this information with others. Our actions are based on two key points: genetic testing should be affordable and available to everyone; and test providers should share data to enable better tests for consumers. To help us promote the effort we ask that you LIKE our page and update your FB profile picture to reflect our cause. Details are on the website. I am humbled by the volunteers who have stepped forward to help us with this case so far, including the ACLU, AARP, and the Breast Cancer Action. Now it's your turn. Please do so as soon as you have the opportunity to get online. Thank you very much for your support. Anyone with family members who have suffered from or died because of breast cancer will understand how important it is to have an affordable test to find this killer disease as early as possible. I hope you support this effort to keep our genes free.